Oh boy! Oh boy!! A rare feat. My 9ers AND my Panthers both won this week. My 9ers got a much needed win over the downward spiraling Redskins. Hey! A dubya is a dubya. My Panthers finished another game and squeaked out a win over the Dolphins for their 7th dubya in a row. 7Up for everyone! Was hoping to get the trifecta. However, Peyton the Broncos could not pull out the win in the always chilly Foxborough. I do not even want to talk about how the game ended. So anti-climatic. Oh and Tom Brady berated another referee but of course no one talked about that yesterday. The Steelers beat the Browns. The Steelers now actually have a realistic chance of making the playoffs. Told ya’ll. Any Given Sunday. Or Monday. Or Thursday. Shoutout to fellow Wolfpacker, Tampa Bay QB, Mike Glennon with the dubya. Unfortunately, it was over fellow Wolfpacker Stephen Tulloch’s Lions. The Bears got run over by the Rams. Yeah, those Rams. The Chargers handed the Chiefs their second lost. Shoutout to fellow Wolfpacker, Chargers QB, Philip Rivers who 27-39 with 392 yards and three TDs. I see you Philly Cheese! *yawns* The Ravens beat the Jets. The Cardinals, who are surprisingly and quietly seven and four, mollywopped the Colts. I mean what they did was not even right. Sheesh. Why is no one talking about the Texans? They have lost nine games straight. This most recent lost was at the hands of the Jaguars. I think I just answered my own question. The five and six Titans are now back on the playoff hunt with their win over the Raiders. Kool. The Saints sqoze out a win against the Falcons. Would have been real embarassing if they lost. Maybe next week! Lastly, the Cowboys beat the Giants. We all know what happens next. Let the annual Dallas December Debacle commence. The best pig skins can be found in my hometown of Lexington, NC, sandwiched in between a hamburger bun with extra dip on top, fries or hushpuppies to accompany it and a sweet tea to wash it down. *wipes away drool* Ok, wait. That is not the pigskin I am suppose to be talking about. Sorry. I love food. At any time my mind can wander off and begin to think of something decadent to partake of. And if you have to ask what dip is, then you have NEVER had real que. Anyway, moving right along. Do you smell that? Do you? Close your eyes and take a deep breath. Now do you smell it? You do? Smells great right? Aaaaaaaaaah, the smell of pigskin, the non-sandwich kind. IT’S FOOTBALL SEASON YA’LL!! HAPPY HAPPY, JOY JOY!! I can admit that I am something like an addict when it comes to football. Ok, ok, I am addicted. Pee Wee. Pop Warner. Little League. Middle School. High School. College. Professional. Flag. Fantasy. You name it, I love it!!! I can talk to you about Cover 2, the wishbone, slot receivers, nickelbacks, 3-4 defense, offsides and blitzing. I can do the Ray Lewis intro dance, the Deion Sanders skip, Aaron Rodgers Discount Doublecheck move and I still Ickey Shuffle from time to time. I know when to yell RED during the National Anthem at Carter-Finley aka The Carter. I know that if Florida State is playing, I will hear the Seminole chant at least 20 times a quarter. I know the University of Maryland has one of the non-prettiest stadiums in the country. I inherited my love for the game from my mother. As a child growing up in Lexington, Fridays were one of my favorite days of the week. During the late summer, early fall months my Fridays consisted of school, fried croaker(one of my grandma Margie’s specialties) and cheering on the Jackets, home or away. JACKET PRIDE!! My other favorite day was Sunday, of course. If you were at our house on Sunday afternoons, you had two tv choices: the game on CBS or the game on FOX. Unfortunately for me, if the dreaded cowgirlies were playing there was no choice. My mama and aunt are both die hard cowgirlie fans. I refused to make such a mistake and rebelled early. My team of choice? THE SAN FRANCISO 49ERS!! They were soooooo kool. Their qb was kool. The WR was smoove. And their coach had a full head of white hair. It love at first snap. The game of football gets me giddy, like first day of school I can not wait to show all my friends my new Trapper Keeper giddy. Most men understand the feeling. Some women do not. The women give me that horrified look when I tell them football over Lifetime any day. Their mouths drop open when they find out I enjoy watching Cam Newton play because I know at any moment he can change the whole momentum of the game with his feet. The fact that he is handsome is just an added bonus. Tomorrow, the college football season begins. OH BOY!! Friday night, my beloved WOLFPACK take the field to show Tennessee who’s boss. Since I am a blogger, this would be a great time to make a prediction huh? Let me see. USC(with the pound cake schedule they have, they better make it) and LSU for the championship. LSU redeems itself. 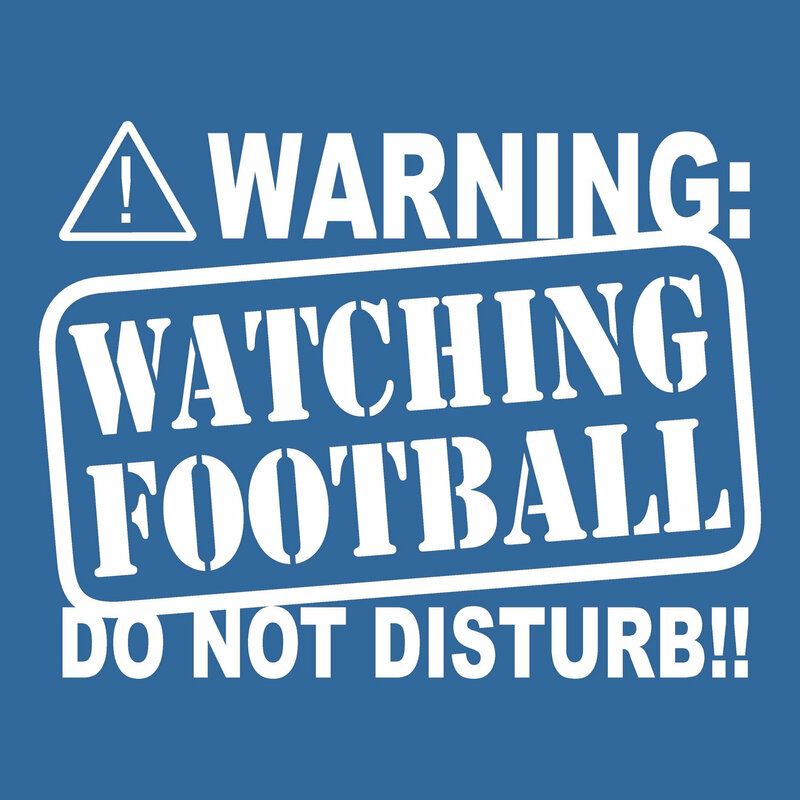 Now back to my regularly scheduled thoughts…next Wednesday night, I will be plastered in front of the TV for the start of the NFL season. HAPPY HAPPY, JOY JOY!! Unfortunately, I have to be subjected to watching the team who “beat” my team to go to the Super Bowl last year and quote unquote “America’s Team.” Regardless, I am ecstatic that football is back. I was struggling during the off months, like I always do. Thank God for the Olympics. If it were not for them, I may have been tempted to watch Lifetime.